Fancy a flutter on the ocean waves? There are plenty of options, but beware of the pitfalls. In 1626 a Venetian public gambling house was legalised for the first time. Soon, the high society of that prosperous city met in little houses – casini – to indulge in business dealings and politics – but mostly to gamble. Soon the word ‘casino’ became synonymous with vice and prediction. Almost 250 years later Charles Wells, an English thief and conman, broke the roulette table’s 100,000 franc float no fewer than 12 times in Monte Carlo and inspired a song. Today it’s possible to gamble around the world aboard almost every cruise ship. Some casinos are small and sophisticated; others are vast halls of temptation. On British ships casinos have much less prominence than those on American-oriented vessels and are increasingly the sole refuge for smokers. Passengers who fancy a flutter will find that most ships offer roulette, blackjack and poker, while larger casinos at sea boast craps tables, baccarat, and Caribbean stud poker. All ships offer legions of fruit machines – ‘slots’ in American terminology – and across the worlds oceans these are the domain of elderly ladies perched on tiny stools, ladling quarters into the machines with practiced ease! 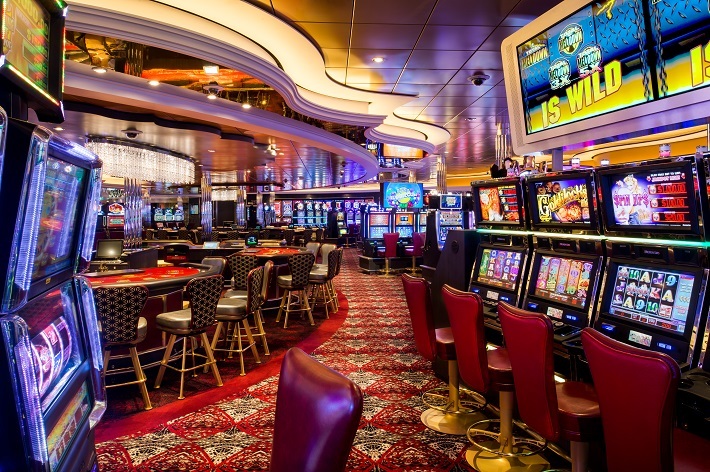 For most passengers, this nightly diversion is little more than a flirtation with lady luck, but gamblers beware, most casinos (apart from P&O Cruises and Fred. 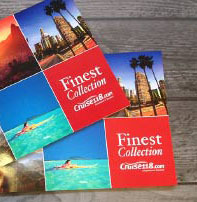 Olsen Cruise Lines) operate in US dollars, and with the current exchange rate, a night chasing an elusive royal flush might bring you out in a hot one. Casinos at sea go to great lengths to provide you with play money. You can charge up to $2,000 per cabin per day or simply put your cabin card into the slot machines and play to your hearts content. The reckoning comes on the final day of your cruise when on-board accounts have endless casino transactions posted to them. Whether you are a high-roller or a novice, the casino can prove to be an all-consuming pastime, but remember, if you add up all the numbers on a roulette wheel you get 666! If luck be a lady, she is rarely seasick. The combination of plentiful wine and a fun-packed atmosphere can be lethal when the stakes are high. For passengers intrigued by the inner workings of the game, cruise lines offer gaming lessons during the first sea days. Those who take the plunge at the green baize will find the croupiers (dealers) more than willing to offer advice for the player’s benefit during a game – especially blackjack. 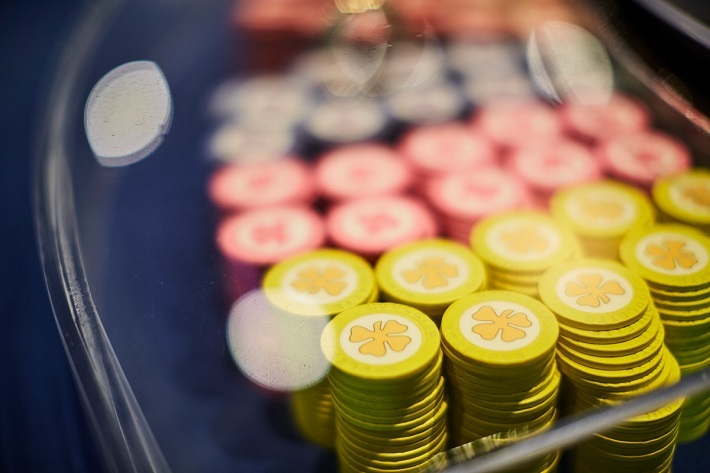 The dealers know that a winner is far more likely to tip than a player who has had his chips. It doesn’t matter if you don’t know the difference between pontoon and blackjack, or if you just fancy a flutter on the date of your wedding anniversary at the roulette wheel; casinos at sea are far less intimidating that their land-based counterparts, and for many, are part of the excitement of on-board life. But remember: some you win, some you cruise. If you’re on an American ship and fancy a flutter at the blackjack table, don’t give the dealer the instructions “twist” or “stick”; this will expose you as a novice and will raise the eyebrows of American players. The requests “card” or “stay” are preferable. And one last piece of advice… NEVER split tens!